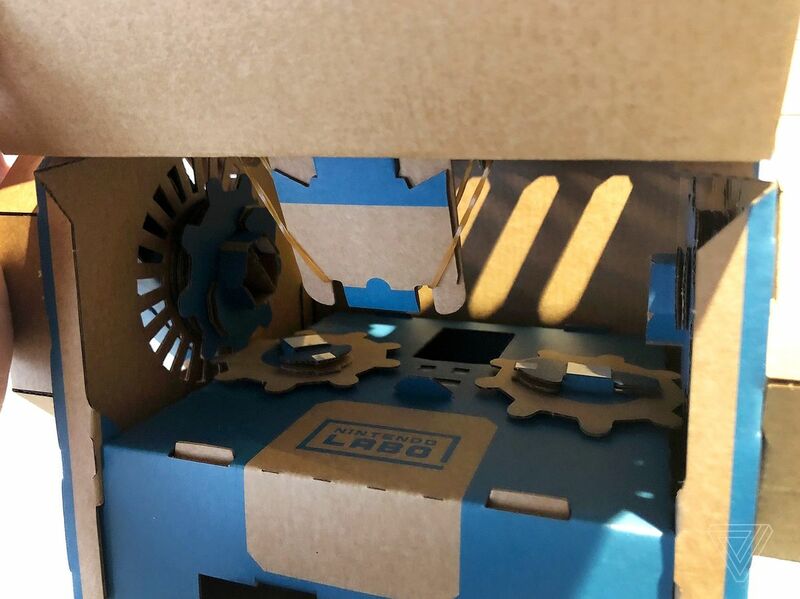 Nintendo Labo, the system of DIY cardboard accessories for the Switch released this past April, is adding a Vehicle Kit to its current lineup of the Robot Kit and Variety Kit. 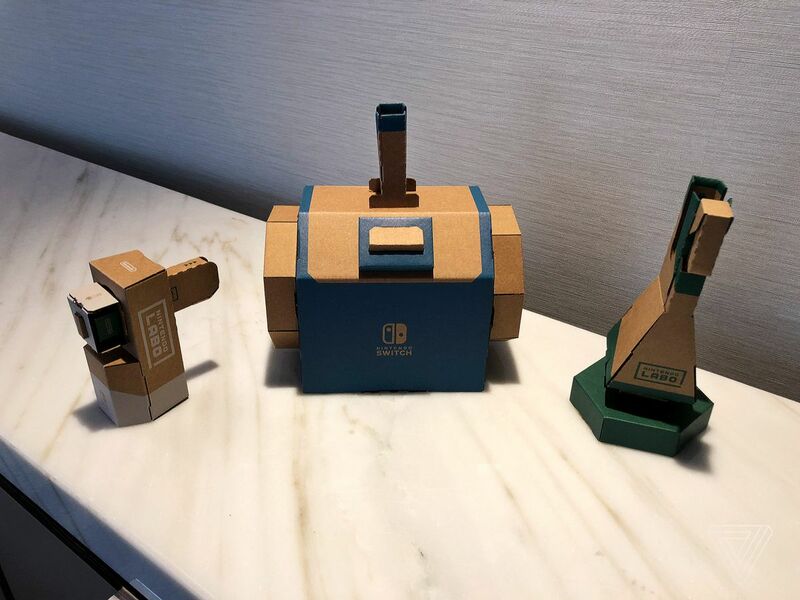 At a press event in New York today, Nintendo gave us an opportunity to build and play with the new kit, which includes materials to create cardboard controllers for a car, submarine, and plane. We were given a few minutes to build the controller key, which can be fitted into the car steering wheel; the dials to shift the direction of the submarine fans; and a joystick controller to pilot the plane. Of course, this was just a small taste of how long it actually takes to build these controllers; Nintendo estimates that the entire kit will take two to three hours to build. A spray can, submarine controller, and pilot joystick. 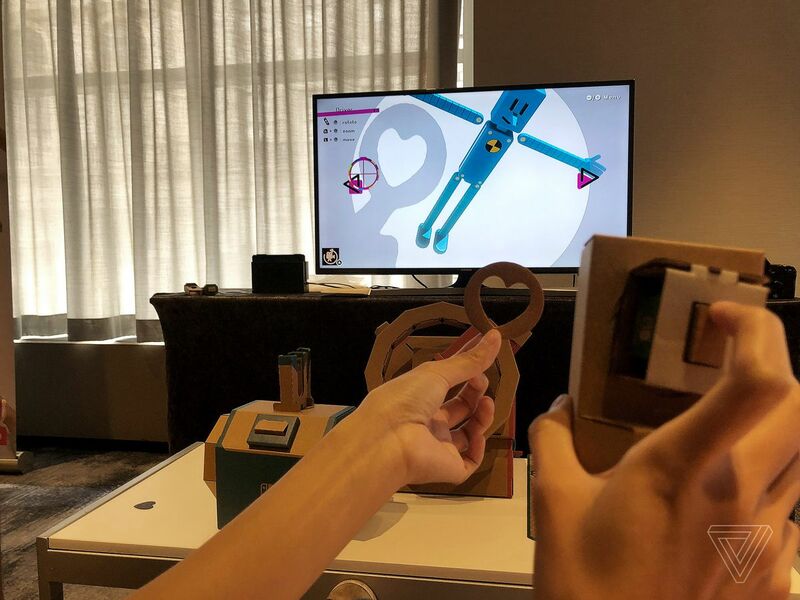 As with the other Labo kits, the included corresponding software is divided into three stages of “Make, Play, and Discover.” After following the step-by-step folding instructions in the “Make” stage, we moved onto the “Play” stage to test out the controllers. The Adventure mode puts you in an open field comprised of different terrains, so you can switch between driving, flying, and diving into the water, based on which cardboard controller your Joy-Con is in. The course includes little quests like rounding up stray cows, or parachuting onto a target. Your vehicle is equipped with saws, bombs, and guns, which can be controlled by a second user to blast away trees and fences. There’s also more innocuous functions that are perhaps unnecessarily true-to-life, like windshield wipers to clean any mud that gets on your screen, or a fuel hose to gas up. As our games editor Andrew Webster noted in his review, the mini games are the least interesting part of Labo. At the hands-on demo which invited kids to try out the games, a boy raised his hand and asked, “What happens if I finish the games really fast?” A representative reassured him he wouldn’t be able to finish them all today, but it was a fair question about the Labo’s shelf-life, which has always been its biggest issue. Which brings us to the real charm of Labo, the endlessly reprogrammable Toy-Con Garage, which lives in the “Discover” stage. The controllers in the new Vehicle Kit are compatible to be remixed with all the other Labo kits, including Variety and Robot. In addition to a couple new nodes to program more functions, there are also step-by-step instructions that teach you how to make more controllers. One lesson shows you how to create a makeshift pedal out of things that may be laying around your house, like some dish sponges and a binder. With these extra pedals, you can play multiplayer games with up to four players that let you race without a steering wheel, using only the accelerator. The inner workings of the submarine controller. Pressing the button on the cardboard spray can lets you paint and customize your car. Like the other kits before it, the driving tech behind the Vehicle Kit consists of strategically placed IR stickers which are then picked up by the sensor camera on the Joy-Con. I did see one new feature unique to this kit, which involved a cardboard “spray can” that was complete with the rattling sound when you shook the “canister.” In paint mode, you can customize your car with stencils, which is picked up by the Joy-Con camera on the “spray can.” It picks up the outline of anything you place in front of it, so you can use the heart stencil that comes with the kit, or cut out any shape to create your own stencils. We haven’t heard much hype about Labo since its release earlier this year, but Nintendo isn’t worried. 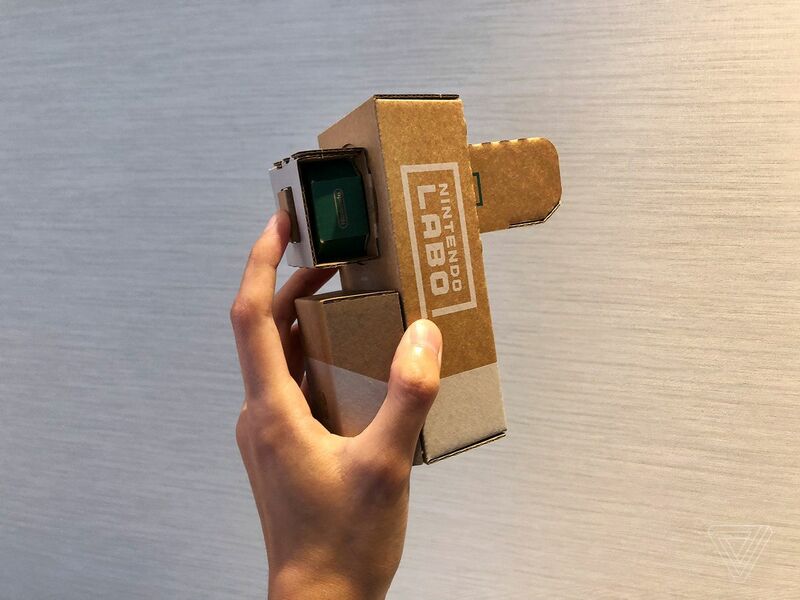 The company is looking at Labo’s long-term potential, and another kit may be on the way by the end of this year. 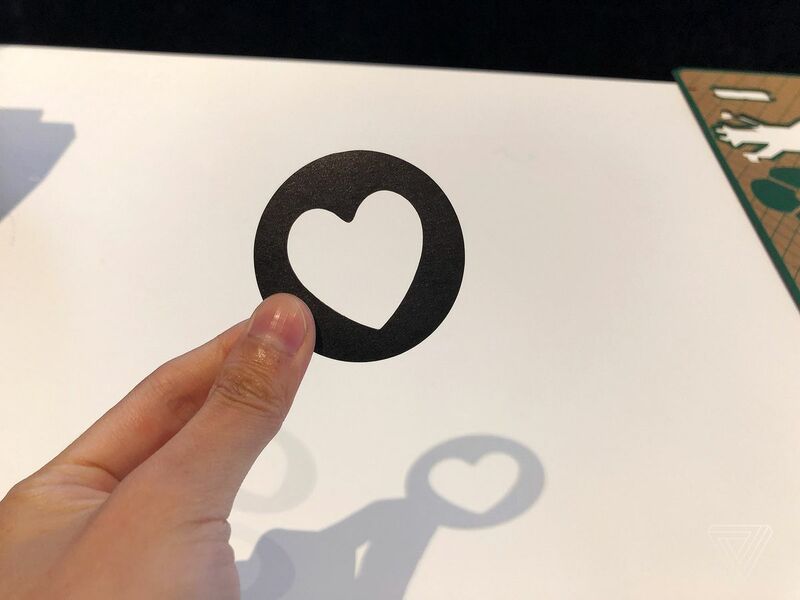 Given that the motorbike steering wheel from the Variety Kit hadMario Kartfunctionality added to boost Labo sales, it’s safe to expect that the car steering wheel will also be compatible in the future. The Vehicle Kit is available to preorder now and will cost $70, the same as the Variety Kit. It’ll be released September 14th. Brexit beauty: Making Britain gorgeous again!